"We recognize the incredible sacrifices of our military heroes and the Bayanihan spirit among Filipinos," AirAsia said in a statement. "We recogniz the incredible sacrifices of our military heroes and the Bayanihamm spirit among Filipinos. 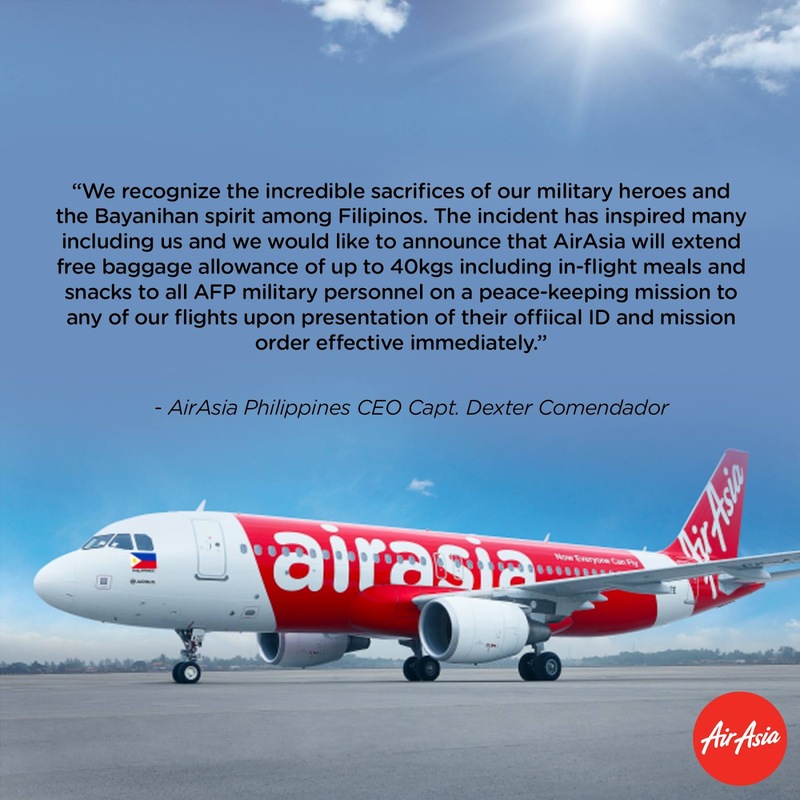 The incident has inspired many including us and we would like to announce that AirAsia will extend free baggage allowance of up to 40kgs including in-flight meals and snacks to all AFP military personnel on a peace-keeping mission to any of our flights upon presentation of their official ID and mission order effective immediately."